Blame it on the cold weather or the holiday cheer, but there’s something about winters that makes us want to go on a vacation with that special someone. The time when we don’t need a reason but an excuse to travel, that too to a secluded and romantic place. Talking about India, it is nestled with many popular and tempting locations that will be perfect for a winter getaway. But picking up a place to steal away from the crowds can be a bit challenging. So we have listed plentiful options for some of the most romantic winter destinations in India. The first snow is like the first love! Rejoice the advent of newfound love in your life at this beautiful place in kashmir. The snow-capped mountains and verdant valleys will make you fall in love all over again. Often called the jewel of the Himalayas, Sonamarg is known not only for its amazing weather but also the attractions. Head to this hill station in Kashmir to share some intimate moments with your partner. From beautiful rivers to breathtaking snowy peaks, Manali has it all to lure couples and honeymooners. The picturesque sights and major atrractions in the city act as a perfect backdrop to the romantic outing. Also, if you and your partner are an adventure enthusiast, you can try out various adventure sports and activities at Solang valley. Book your trip to Manali and make the most of your winter vacations. Popularly known as the Scotland of India, Coorg is a charming little town in the state of Karnataka. The orange orchards, refreshing aroma of coffee, verdant greenery, mountain slopes and gentle breeze will leave you and your partner in awe. This beautiful destination is ideal to cool off during winters, so start planning now! Undoubtedly one of the finest and the most frequented romantic destinations in India, Shimla is a treat to all the couples. Surrounded by spectacular Himalayas and outstanding plantations, this hillstation soothes the mind and enchants the heart. With the awe inspiring scenic beauty, Shimla never fails to attract tourists every year in winters. Those of you who want to go for a lazy and leisure vacation with your loved one can head to Goa without a second thought. This place has its own charm in winters. With natural scenery, music fests and winter festivities, Goa comes to life during winters. Right from its secluded and pristine beaches overlooking the Arabian blues to shacks serving delicious food and flea markets, everything about Goa invites you in. Make your way to Goa in winters and indulge in the amazing stuff that romantic vacations are made of. With shifting dunes, quaint havelis, spectacular palaces and camel safari, a vacation in Jaisalmer is an experience in itself. This exotic destination has a lot to offer for you to have an ideal romantic getaway. Head to Jaisalmer to enjoy some sensually invigorating folk performances, romantic dinner amidst sand dunes and some of the best moments with your partner. It is an ideal destination for all the nature lovers. Think about spending time with your beloved in a place with bountiful natural beauty, amidst the whispering woods and a variety of flora and fauna. 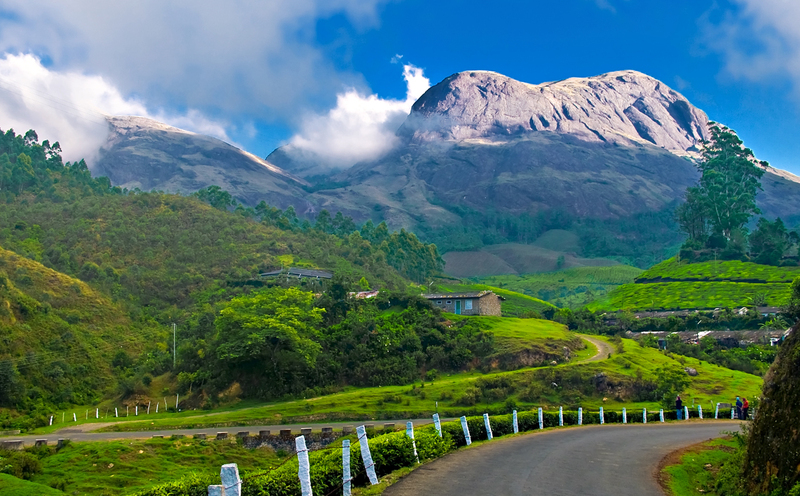 Plan a trip to Munnar this winter and share the warmth with the wild nature in the company of your partner. Rather than lazing around in your house, make the most of your winter vacations and head to any romantic destination with your partner.